SHS Tech Teacher Learning at Harvard this Summer! 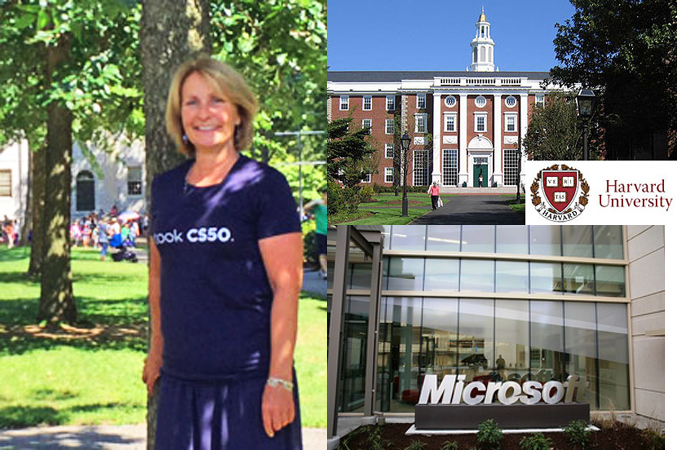 This summer SHS technology teacher Mary Kelly took part in a 3 day workshop held at Harvard University as part of a newly created teacher pilot program for the upcoming 2016 release of AP Computer Science Principles. The 60 high teachers participating were selected from across the country and will be involved in a year long process to begin implementing and testing out the course curriculum. Harvard University and Microsoft have teamed up and are sponsoring and supporting the teachers. This course focuses on an overview of Computer Science and uses several different programming languages. Microsoft’s site has a great description of the course, and of the professor teaching it. The National Science Foundation site features a press release from the College Board that explains more about the AP Computer Science Principles, and the importance of rigorous HS Computer Science Classes.